Economic fugitive Nirav Modi may have spent Holi in a British prison, but India can take little comfort from that. Last July government informed Parliament that it was pursuing 13 economic fugitives, including Nirav Modi, Mehul Choksi and Vijay Mallya. These prominent fugitives still remain at large. It has not been easy to see through extradition requests and there is an urgent need to improve state capacity in this regard. Successful prosecution of financial misdemeanors will act as a deterrent and enhance trust in India’s justice system. Three prominent economic fugitives, including Nirav Modi, fled during NDA’s watch. One reason is that different arms of the state which deal with economic matters function in silos. Lack of adequate coordination and necessary expertise have adversely influenced extradition attempts. The legal framework for extradition is in most cases governed by a bilateral treaty. In the case of UK, the process has to work its way through the criminal justice system there. Does CBI, an anti-corruption investigator, have the expertise to deal with extradition requirements in a foreign jurisdiction? Once it came to light that Nirav Modi may have defrauded PNB and then fled, government got cracking on a legislation to seize economic assets of fugitives. Necessary as it is, it’s unlikely to act as a deterrent. 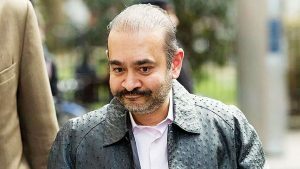 To illustrate, Nirav Modi was willing to deposit half million UK pounds as security while seeking bail. Clearly, the only effective deterrent will be a successful extradition and subsequent prosecution in India. India today is highly integrated with the world in terms of financial flows. This calls for a strategy to strengthen and upgrade skills of agencies which can prevent abuse of the system. Else today’s ‘chowkidars’ can justly be accused of sleeping on their watch, despite election eve protestations to the contrary. यह जरूरी है कि लोकपाल नामक नई संस्था उन उम्मीदों को पूरा करने की दिशा में आगे बढ़े ! उचित यह होगा कि नई सरकार का गठन होने के पहले ही लोकपाल संस्था जांच और अभियोजन संबंधी अपने तंत्र का गठन कर ले। केंद्रीय सेवाओं के अधिकारियों एवं कर्मचारियों के साथ-साथ केंद्रीय मंत्रियों और सांसदों को इसका आभास होना आवश्यक है कि भ्रष्टाचार की जांच करने वाली एक नई और सक्षम संस्था अस्तित्व में आ चुकी है। लोकपाल संस्था के सक्रिय होने के बाद भ्रष्टाचार के मामलों में कमी आने के साथ ही भ्रष्ट तत्वों के मन में भय व्याप्त होना आवश्यक है। बेहतर होगा राज्य सरकारें भी इसकी चिंता करें कि लोकायुक्त अपने दायित्व का निर्वहन सही तरह कर पा रहे हैं या नहीं ? Ever since the 2014 Lok Sabha elections, new media platforms such as Twitter, Facebook and WhatsApp, have become political battlegrounds. These spaces of electioneering have, however, remained unregulated because the Representation of People Act (RPA), 1951, does not cover social media. On Wednesday, the Election Commission (EC) and Internet and Mobile Association of India — the body that represents social media firms — took a decisive step towards plugging this gap. The two agencies agreed on a Code of Ethics, which social media outfits will follow during the Lok Sabha elections. The Code that came into effect on March 20 ticks several boxes — it emphasises transparency and stresses on measures to “prevent abuse of social media platforms”. However, as Chief Election Commissioner Sunil Arora put it, “the document should be seen as a work in progress”. Since adherence to the Code is voluntary, much will depend on the measures taken by individual social media outfits to put the document’s guidelines into practice. Section 126 of the RPA prohibits political parties and candidates from campaigning in the two days before voting. In January, an EC panel suggested bringing social media platforms under the Act’s ambit so that voters are “afforded a period of reflection”. The panel suggested that these new media platforms should abide by the EC’s guidelines about taking down “objectionable content”. Social media outfits, however, did not agree with the recommendation that such content “be taken down within three hours of a notice”. It’s reassuring that the Code, put in place on Wednesday, addresses the EC’s concerns: “Valid legal orders will be acknowledged and/ or processed within three hours for violations reported under Section 126”. Also welcome is the Code’s insistence on “transparency in paid political advertisements”. Any political advertisement posted without the EC’s certification and notified as such by the EC will be acted upon expeditiously, the Code says. The Code asks social media firms to train the EC’s nodal officers on how their “platforms work and on mechanisms for sending requests on dealing with offensive material”. These companies will also develop a “reporting mechanism” through which the poll watchdog can inform the platforms about “potential violations of Section 126”. The Code’s success will depend, in large measure, on how these channels of communication work. 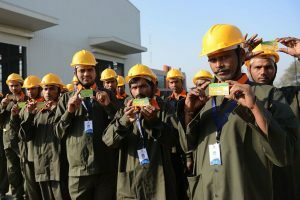 In the run-up to the Lok Sabha elections, the conduct of the social media firms — and the EC — will be watched.